Scuderia Ferrari has announced that Mattia Binotto will take over from Maurizio Arrivabene as new team principal ahead of the 2019 F1 season. The reports of Arrivabene being replaced by Binotto already circulated in the media earlier on Monday with the Italian media even stating that it was bound to happen after the latest meeting of the Ferrari management. The speculation has now been confirmed by Ferrari through a statement which states about the meeting where discussions were held with Arrivabene regarding his long-term personal interests and that of the team as well. Following that, it was decided that Arrivabene will leave the team with its technical head Binotto taking over as the new team principal with immediate effect. “After four years of untiring commitment and dedication, Maurizio Arrivabene is leaving the team. “The decision was taken together with the company’s top management after lengthy discussions related to Maurizio’s long term personal interests as well as those of the team itself. “Ferrari would like to thank Maurizio for his valuable contribution to the team’s increasing competiveness over the past few years, and wish him the best for his future endeavours. With immediate effect, Mattia Binotto will take over as Scuderia Ferrari’s Team Principal. “All technical areas will continue to report directly to Mattia,” the statement read. The news comes at a time when Ferrari is preparing for the 2019 F1 season after a difficult 2018 where certain mistakes derailed their title charge. Arrivabene did come under criticism for his approach but Ferrari stood by him. 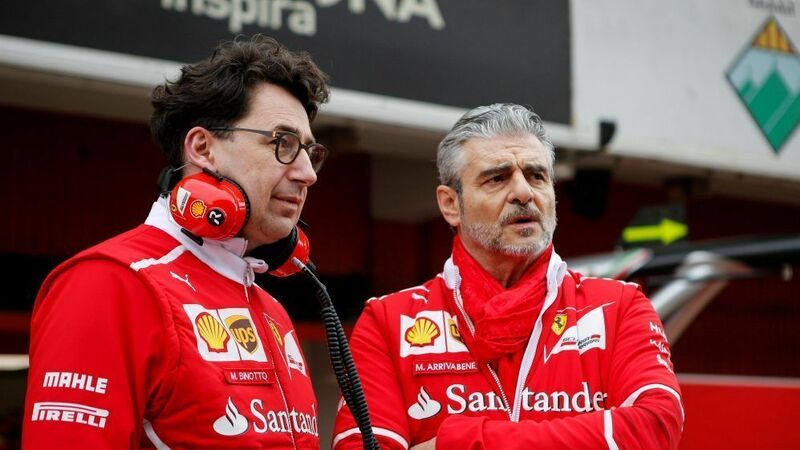 However, it looks like the loss has certainly affected the management and the growing speculations regarding an internal rift between Arrivabene and Binotto left them with no choice but to take a call on either of them in the team going forward. With the announcement, it is clear that the team wants to keep Binotto with Arrivabene bowing out after four years of service for Ferrari after taking over from Marco Mattiacci in 2014, who had succeeded Stefano Domenicalli. The news also means a deserved promotion of Binotto who has been with Ferrari since the 1995 season. The Swiss-Italian has taken up various roles in the two decades and held the team’s Chief Technical Officer position since 2016 until the team principal role. It remains to be seen how the decision affects their 2019 programme with Sebastian Vettel and even the team itching to get back to their winning ways. The team will also have the task to handle Charles Leclerc, who will start his second year in F1.